Adani Power insists the ‘inflated’ electricity bills are due to some back-to-back coincidental factors, but regulator is set to announce its findings Friday. Mumbai: Several residents of suburban Mumbai have complained about inflated electricity bills since Adani Electricity Mumbai Ltd (AEML) took charge as the distribution utility, and now, Maharashtra’s electricity regulator plans to issue directives to the company to implement some interim relief measures for affected consumers. 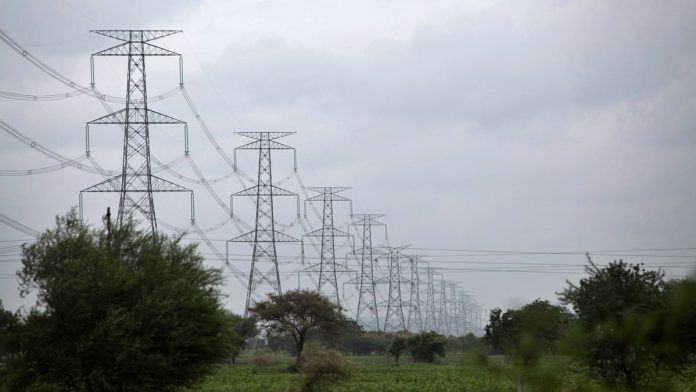 Politicians across parties such as the Congress and the Maharashtra Navnirman Sena, as well as the ruling Bharatiya Janata Party (BJP) have been voicing consumer grievances and have also made allegations of Adani Power arbitrarily hiking its tariff and burdening consumers. Sources in the state energy department said while the charges of arbitrary hikes seem unfounded, there definitely appears to be an issue with the electricity bills of certain consumers, and the Maharashtra Electricity Regulatory commission (MERC) is investigating the matter to come up with interim solutions. “It definitely calls for some inquiry. The regulator has received a response from the company. Officials will look at the tariff and consumption across categories, which category of consumers is the most affected, impact of autumn heat on consumption and bills, and comparison of the same with other power distribution utilities,” an official said on the condition of anonymity. The MERC Tuesday asked Adani Power to furnish relevant information for scrutiny within 24 hours, acting on media reports highlighting consumer complaints. The regulator will hold a press conference Friday to announce its findings and the interim measures it will direct the company to take. Adani Power took over Reliance Infrastructure’s Mumbai energy business for Rs 18,800 crore on 29 August, and started supplying power to Mumbai’s suburbs. The company has denied allegations of power bills rising due to its takeover of the business. It has maintained that there were several back-to-back factors which coincided with the company taking over Reliance’s business, and this pushed electricity bills up and created a wrong perception that the rise is due to Adani Power. “When the changeover happened on 29 August 2018, there was an ongoing internal agitation owing to past issues because of which metres could not be read for five days. Accordingly, billing during such period was based on last three months’ average consumption, as per MERC guidelines,” an AEML spokesperson said. The company gave its consumers an option to read their own metres and revised bills for those who got back with the accurate metre readings. While company sources say the strike affected billing for August, September bills too seemed high as an MERC-approved tariff hike came into effect from 1 September. The tariff hike of an average 0.24 per cent was implemented based on a petition filed by Reliance Infrastructure in December 2017, and revised in June 2018. Company sources said consumers further fumed on seeing the October bill too, as power consumption that month was higher. “Electricity tariff rates are determined by honourable MERC through transparent process, including public hearing. In Mumbai, electricity consumption increases in the month of October due to higher ambient temperature. This year, electricity consumption in October was higher by about 18 per cent over preceding months,” an AEML spokesperson said. One of the factors that the MERC will look into is whether consumers of Tata Power, Brihanmumbai Electric Supply & Transport (BEST) Undertaking and the Maharashtra State Electricity Distribution Company Limited (MSEDCL), which supply power in Mumbai, also faced tariff shocks due to higher consumption in October. Of these, Tata Power and MSEDCL too had tariff hikes effective 1 September, while the rate for BEST customers dropped by about 10 per cent. Sources, however, said that the AEML has more low-end consumers in Mumbai as compared with other utilities, and tariff shocks due to higher consumption or an increase in rate tend to be greater.